Here at ECI Comfort Solutions, we often preech the benefits of regular, yearly maintenance for your heating and air conditioning systems. It's understandable that some homeowners can let preventative maintenance slip their mind or just don't understand its importance. But, every spring, we encounter situations like the following and thought it would be a good time for a reminder. 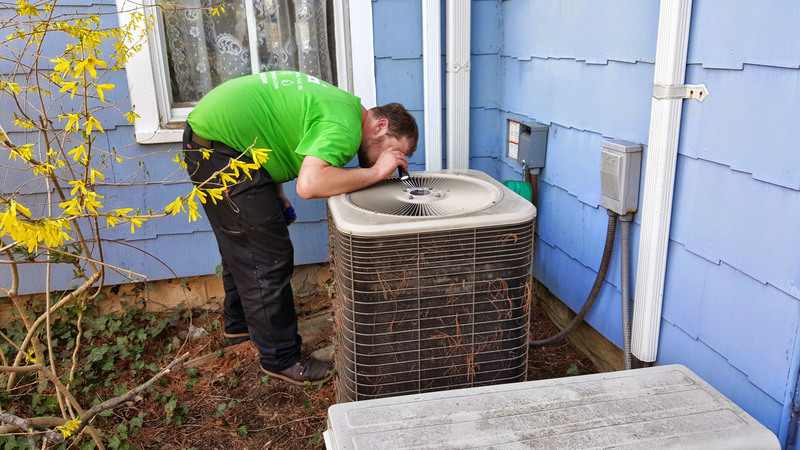 The pictures in this article are an example of what can happen when you skip regular maintenance for your home air conditioning system. This high-velocity SpacePak system was installed by another company just 12 years ago and never had routine maintenance performed on it. The proud homeowner of this stately Victorian home recently called ECI Comfort Solutions to perform emergency service on their Mitsubishi Ductless system. 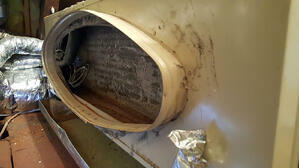 While there, our technician strongly urged the homeowner to get both systems checked and cleaned. 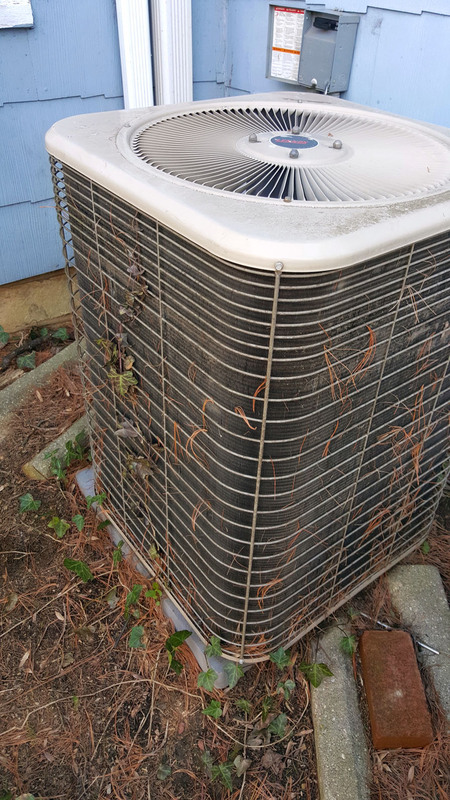 When our technician went to perform maintenance on the Lennox condenser, he could easily see the plants and vines growing out of it, but he was still surprised to see just how plugged up the interior coil was. The tech found the return duct disconnected, which caused the system to pull dirty unconditioned air from the attic knee wall directly into the coil. A lot of the magic in a high velocity system starts with the design of the indoor evaporator coil, which has more rows, passes and fins than a conventional system. This design is an intregal part of how a high velocity system cam remove 30% more humidity than a traditional system. This is also a main resaon why it is so critical to keep the coils clean so the air can pass through easily and allow the system to work as designed. The moral of the story is that the lack of preventative maintenance caused excessive energy costs to operate and shortened the life of the system by at least 5 to 7 years. Some of the benefits of regular, yearly maintenance include preventing high energy bills, longer lifespan for your system, keeping manufacturer's warranties valid and, especially in this case, catch minor problems before they turn into expensive repairs. 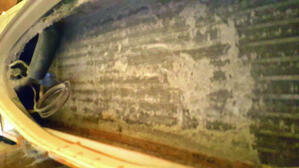 If those benefits sound good to you and you'd prefer to not have your condenser reclaimed by nature, we'd love to help! 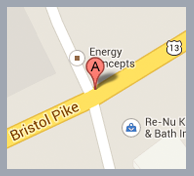 Click the button below to schedule an air condtioning tune-up and safety inspection or call us at 215-245-3200. Simple, yearly maintenance will save you money.